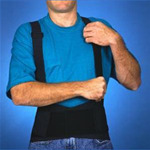 Tennis Elbow Straps: Loop Lock Closure, Hook Tab On Cuff Facilitates One-Hand Application. Deluxe, Universal. 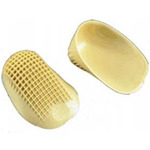 Comfort Plus Elbow And Foot Pads: These Comfortable, Lightweight Pads Help Prevent Pressure Sores. 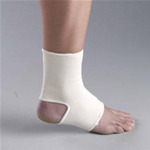 Designed To Allow Air Circulation And Resist Matting. Machine Washable. Foot Pillow. Fold-Over Finger Cot: Malleable Aluminum Lined With Blue Polyester. X-Small. 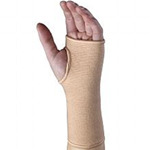 Fold-Over Finger Cot: Malleable Aluminum Lined With Blue Polyester. Small. Fold-Over Finger Cot: Malleable Aluminum Lined With Blue Polyester. Medium. Fold-Over Finger Cot: Malleable Aluminum Lined With Blue Polyester. Large.